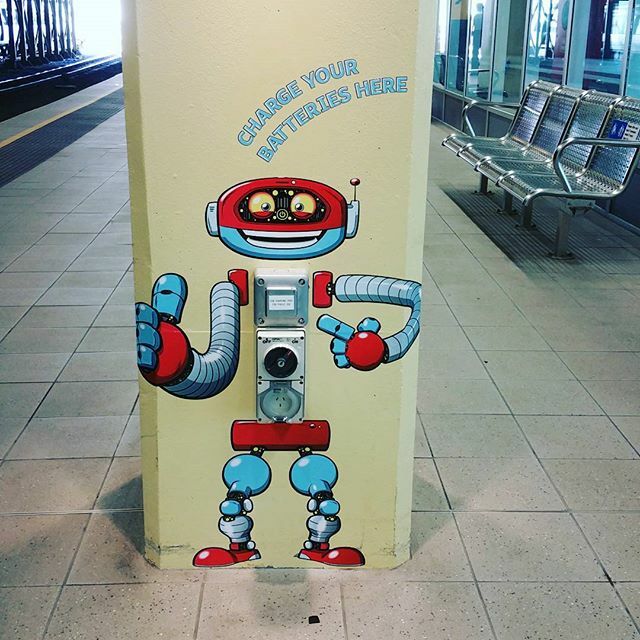 Transperth (the public transport system serving Perth, the state capital of Western Australia) have just installed a tonne of USB charging points around the main Perth station for people to charge their devices. The move is designed to allow commuters to “stay connected”, particularly as Generation Ys now represent more than one-third of all of Perth’s public transport passengers. 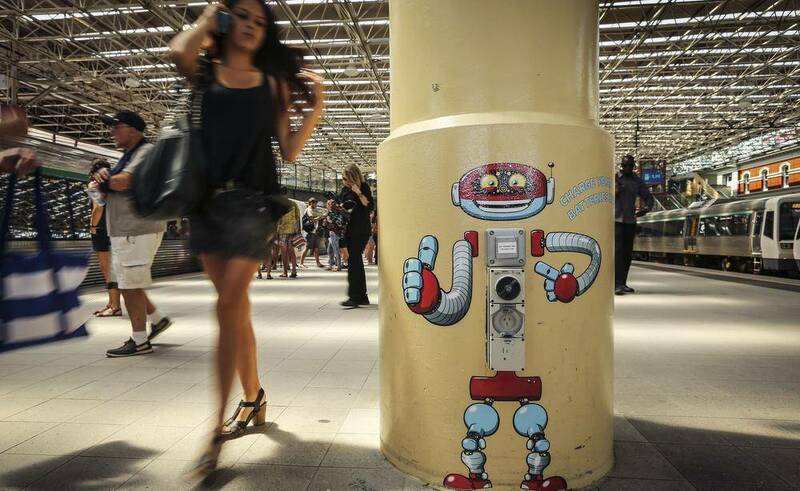 The charging points are not very obvious, so Transperth wanted to find a way to help them stand out a little more. 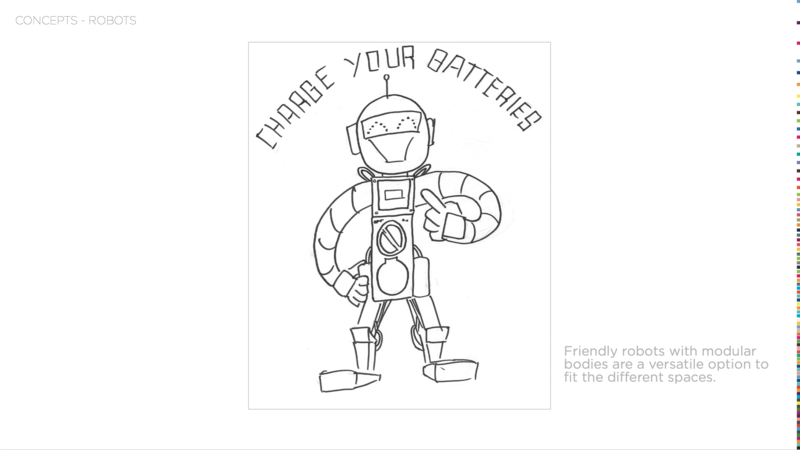 The idea was to create an illustrated decal to go around the USB charging points, so that they really stood out to the public. 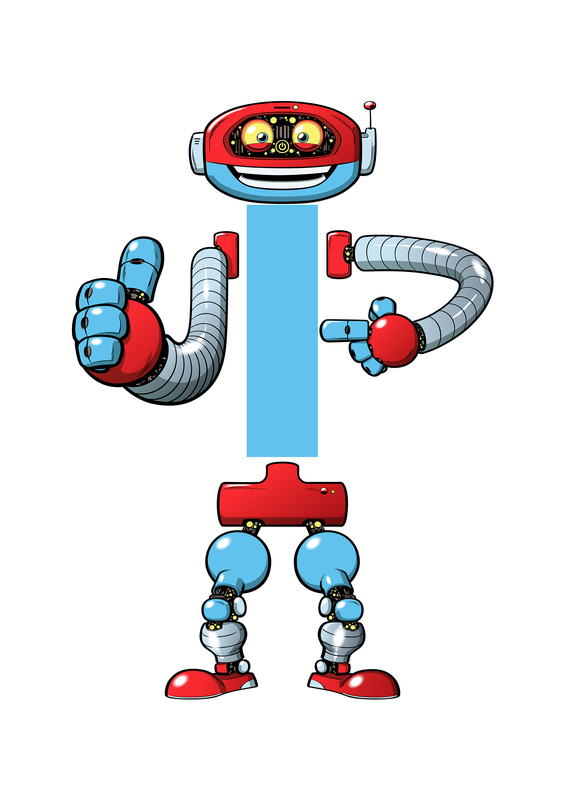 The concept of the Transperth robot was created, and we were asked to bring him to life!